Posted on 14 September 2018. 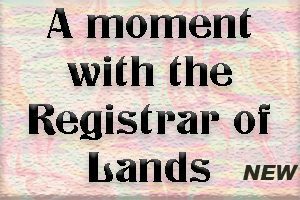 A Release (adapted) from the High Court Registrar’s office on Montserrat on Thursday this week, informs that: On Tuesday, September 18, 2018, the Eastern Caribbean Supreme Court will commence the New Law Year 2018/2019 with its usual Ceremonial Opening in the form of a Special Sitting of the Court in Montserrat. There will be simultaneous special sittings in the other eight (8) Member States and Territories of the OECS. The proceedings will commence with a church service in each Member State and Territory, followed later by the procession to the High Court where the formal sitting will be held. In Montserrat, the Church Service will be held at The St James Anglican Church in Salem, commencing at 8.00 a.m., followed by the inspection of the Guard of Honour and a Mini Parade at the Car Park at Government Headquarters Brades. This will then be followed by the formal Court Sitting which will be held at the High Court at Government Headquarters Brades. 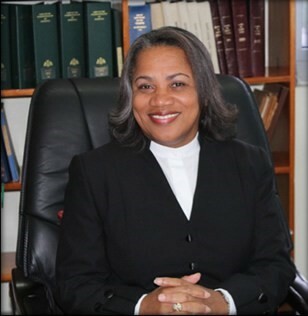 The Chief Justice, Her Ladyship, Dame Janice M. Pereira, DBE will deliver the Opening Address at 10:00 a.m. from Saint Christopher & Nevis where the Court of Appeal is scheduled for its first sitting in the New Law Year. The theme for the opening of the Law Year’s address is “Challenges, Opportunities and Resilience: The ECSC paving the way to a Modern and Efficient Judiciary for the Eastern Caribbean”. The Chief Justice’s address will be carried live via simulcast to the other Member States and Territories of the OECS and will also be broadcast throughout the region via the local media. The public is encouraged to participate in the Ceremonial Opening of the Law Year 2018/2019 by attending either the church service or the special sitting or by listening to the events live on ZJB Radio. The Eastern Caribbean Supreme Court (ECSC) was established in 1967 by the West Indies Associated States Supreme Court Order No. 223 of 1967. It is the superior court of record for the Organization of Eastern Caribbean States (OECS), including six independent states: Antigua and Barbuda, the Commonwealth of Dominica, Grenada, Saint Kitts and Nevis, Saint Lucia, Saint Vincent and the Grenadines and three British Overseas Territories (BOTs) Anguilla, British Virgin Islands, and Montserrat. It has unlimited jurisdiction in each member State.